In a world where big name games development companies fight over sales. It great to see independent games developers brings fresh life to the gaming scene. Rather than the standard genre of FPS, sports or hack and slash gaming. Developer and PC Gamer writer Tom Francis is currently developing whats shaping up to be a great new style of game with a retro feel, called Gunpoint. 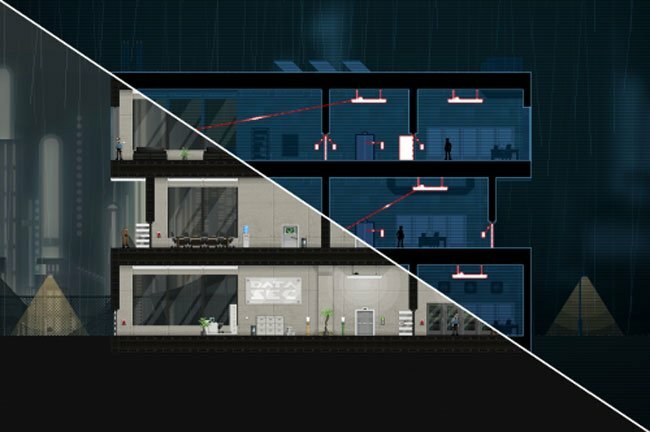 That Francis’ describes in his own words, as a “stealth puzzle game that lets you rewire its levels to to trick people”. Watch the video after the jump in which Francis takes you through the gameplay of his new game. Enjoy! Gunpoint is expected to be released on Windows sometime before the end of the year. But if you are interested in helping Francis with the games development, he is currently looking for help from talented musicians. Check out the games website and Tom Francis’ own blog.